I am using HaplotypeCaller in "genotype_given_alleles" mode in order to obtain REF and ALT read counts for candidate variants (using the AD field). 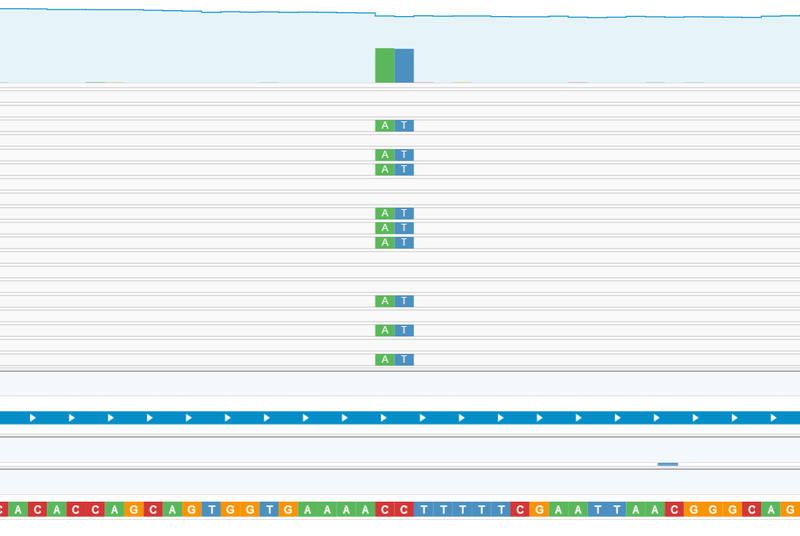 This seems to work fine for SNPs and indels; however, I seem to have trouble with DNPs (e.g. REF=CC,ALT=AT), which always get assigned a variant read count of zero (e.g. "GT:AD:DP:GQ:PL 0/0:331,0:331:99:0,1072,2147483647". When I look at the HC-generated bam in a viewer, the variant reads are clearly present in abundance. So the read stats seem to be wrong. Is this expected behavior? If not, could you recommends steps/checks to figure this out? I have attached my HC parameters, a list of some DNPs that were missed, and a screen shot of the first variant. I think you are correct that HaplotypeCaller is not able to output DNPs right now. You will need to use ReadBackedPhasing to merge the variants. In your example, REF=CC,ALT=A, the final VCF would show two variants (one at each ref C position). However, the phasing done in GVCF mode would show the two variants have the same PID. I came across a post indicating that HaplotypeCaller cannot call DNPs (rather it would call two SNPs, which could be phased with other tools). Should I take this to mean that HaplotypeCaller also cannot handle DNPs in genotype_given_alleles mode? 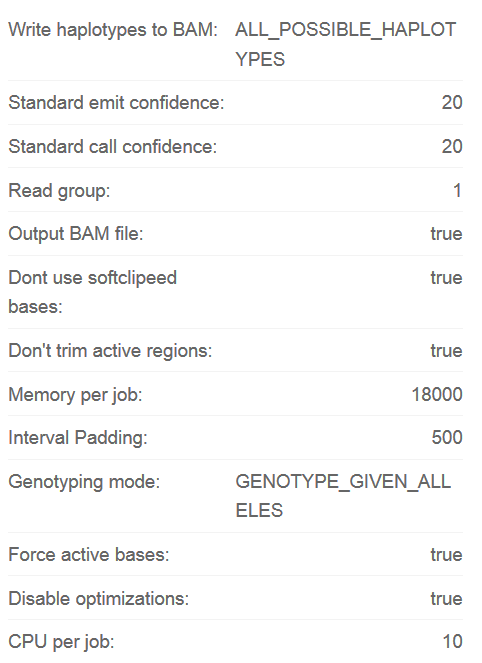 If so, does this imply that HaplotypeCaller will have issues with other complex variants (e.g. REF=CC,ALT=A) that cannot be represented as a simple indel or SNP?